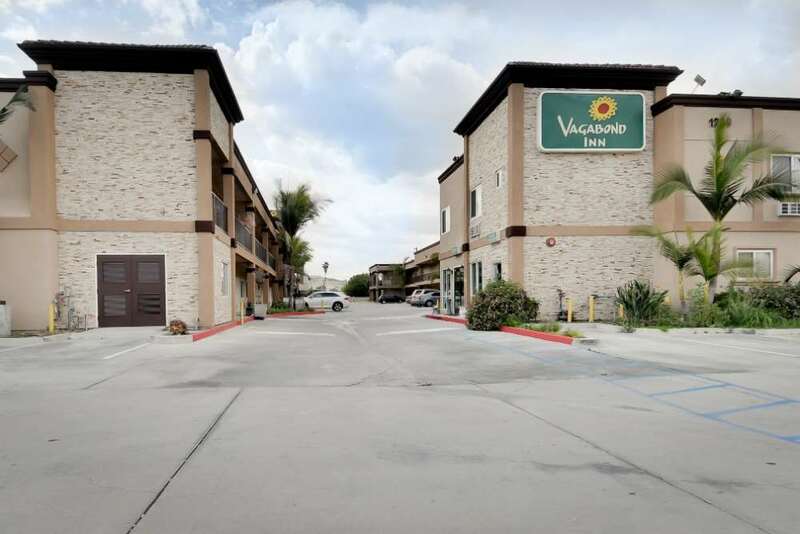 The Vagabond Inn Hacienda Heights hotel is located just off the 60 Freeway and is fairly close to many attractions, including Disneyland, Knott's Berry Farm, Universal Studios and Orange County's sports arenas. Our Hacienda Heights hotel is just minutes from the Hsi Lai Temple, Homestead Museum, Hacienda Heights Library and California University-Business. When staying at our hotel in Hacienda Heights, you can start your day with our complimentary continental breakfast. For your added convenience, all our rooms are equipped with free WiFi and cable TV. We also offer a microwave and refrigerator in every room. When you stay with us, we'll serve you with our own brand of Western hospitality. Great Value, Friendly People - it's how we do things. Laundry Service: Guests are able to use our laundry services for $1. ADA Rooms: Located on the first floor. ~11 miles from Hacienda Heights. ~12 miles from Hacienda Heights. ~18 miles from Hacienda Heights. ~19 miles from Hacienda Heights.